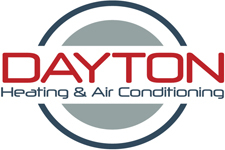 Whether you need fast emergency heating repairs, want to extend the life of your furnace with preventative maintenance, or want to save on your home heating costs with a new energy efficient furnace, Dayton Heating & Air Conditioning can help! Our clients are our #1 priority so we provide FREE Estimates & 24-hour Emergency Service. We maintain, diagnose and service all makes of furnaces, air conditioners, heat pumps, boilers, hot water heaters, electronic air cleaners, exhaust fans, and humidifiers. We specialize in installing Trane® furnaces and air conditioners, Aprilaire® humidifiers and Honeywell® programmable thermostats. Other brands/products available, click here. We also install and service gas lines for fireplaces, stoves, and grills. 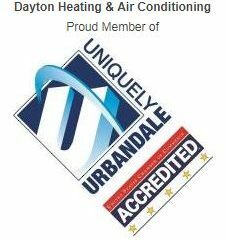 Dayton Heating & Air Conditioning is a member of the Urbandale Chamber of Commerce. Schedule an Appointment, or Contact Us for any questions you may have! We look forward to making your home comfortable! We enjoy hearing from our customers and value your feedback. We look forward to receiving your questions, comments and suggestions!